It's been a busy year for BerryGlowDesigns. During the past few months they have shared some wonderful new themes with all of their fans including the popular M and Phantom Series, and Crispy. With less than two weeks remaining, BGD has one more exciting new design up their sleeve to help us ring in the New Year. GL0W 2013 is simple yet stylish and perfect for kicking off all of your New Year's celebrations. 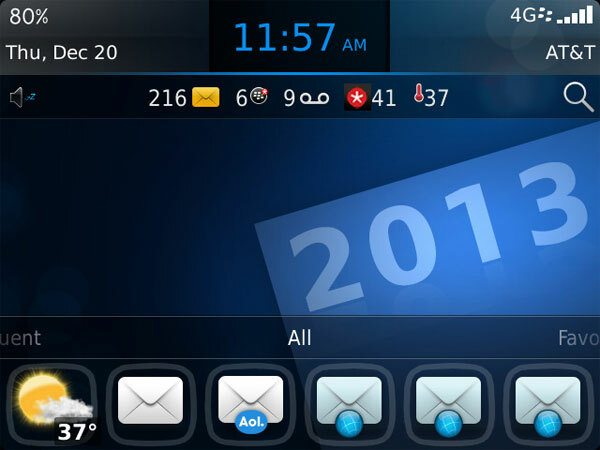 BerryGlowDesigns poured all of their signature graphical elements into this theme thus giving it the right balance between style and customization. This means you get a creative design that still retains the default OS 7 elements so that fonts, folders, and icons are not affected. GL0W 2013 is all about getting the tiniest details right which is evident in the smooth top banner. Everything is balanced and spread out amongst the four corners with the time taking center stage. The banner is easy to read, offers custom fonts and colors, and stands out with not only the default wallpaper but your own as well. There is also that splash of color right below that brightens when highlighted to give it some extra flair. As I'm all about the icons, there are simple transparent borders around all of them. Once selected, they luminesce against a dark background. This icon focus is actually a tribute to the trackpad and it is a really nice effect for this theme. 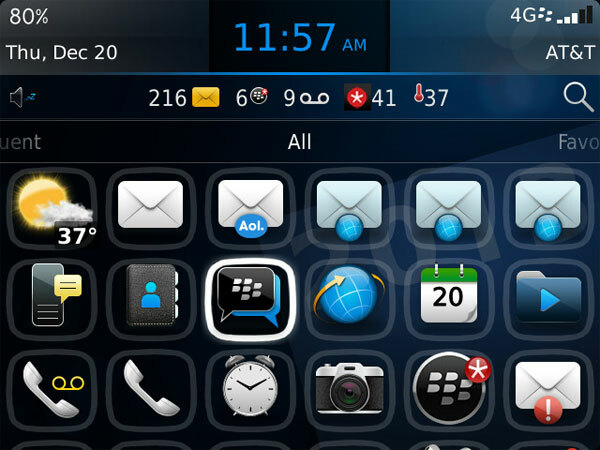 When it comes to themes you certainly can't go wrong with BerryGlowDesigns. No matter which design you choose they all bring something new and fresh to your display without draining battery, memory or resources. GL0W 2013 is wallpaper friendly and will last long after this holiday has come and gone. For a limited time, it's on sale for $.99 (50% off) in BlackBerry App World. 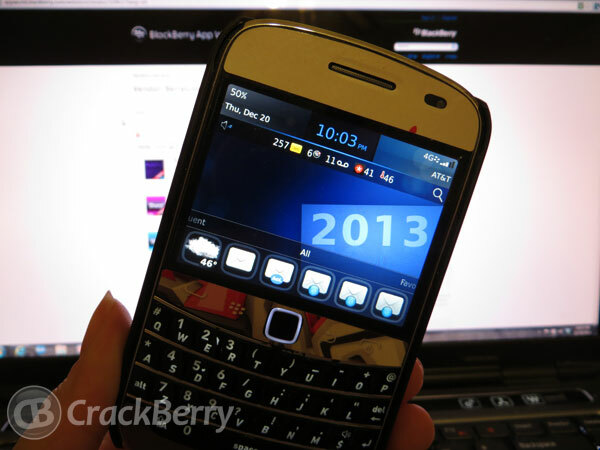 It is compatible with BlackBerry 8520/30, 8900/10/80, 9100/05, 9300/30, 9500/20/30/50, 9630/50/70, 9700/80/88, 9800, and 9900/30/81 running OS 5 and higher.